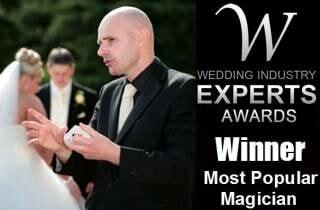 David reguarly performs his amazing brand of magic at many of the best wedding venues in Nuneaton. A party is an ideal time for magic. David can entertain your guests in the comfort of your home or at any venue in Nuneaton. Magic will add panache to any corporate function. David regularly impresses at corporate events around Nuneaton. 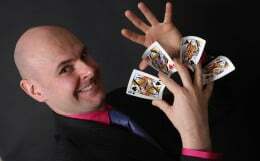 Nuneaton magician David Fox is ideal for your next special event. For wonderful bespoke entertainment options around the Nuneaton area, Warwickshire magician David Fox is the man to see. Close-up magic, table illusions and stage performances like you have never seen before - David entertained guests at a fiftieth birthday party in the town recently and is perfect for more intimate occasions. Venues David has performed at in the area include: Nuneaton Golf Club, The Best Western Weston Hall Hotel in Bulkington, and Sketchley Grange Hotel in neighbouring Burbage.